Why send your kids to a summer camp? The NPAS summer camp is a great way for your kids to get a taster for the different classes that NPAS has to offer. The summer camp allows all the kids to get to know each other and become more confident in a fun and creative environment. If your kids do the summer camp then go into the classes in September knowing everyone! The camp gets the kids out and bout doing active activities such as dance and musical theater. Also giving the kids a voice with drama. The experience and memories your kids will have after the camp is priceless. They will leave NPAS each day with massive smiles on their faces and an air of excitement for the next day. Parents are invited to watch the kids do a small performance at the end of the week so you get shown all the fabulous work they did during the week. Last year we had a themed camp called the Billy Eliot camp, during this they learnt songs from the musical Billy Eliot and dances to go with the songs. At the end of the all they got to go to the Bord Gais Energy Theatre to see a live performance of Billy Eliot. It was an amazing experience for the kids to see songs they had worked on being performed professionally and seeing the work that gets put into a professional musical. This year we will be doing an Adams Family camp and will be seeing a production of The Adams Family in Dublin’s Bord Gais Energy Theatre! The Adams Family camp is on from the 14th to the 18th of August. It will be so much fun for the kids thinking of doing the summer camp. We will also be doing our fantastic performing arts summer camp which is packed full of dance, drama and musical theater fun! The kids will learn lots of new performing skills in the camp. The Performing Arts summer camp is on from the 17th to the 21st of July and the 24th to the 28th of July. The kids will be put in with kids their own age so they will make lifetime friends that are interested in the same hobbies as them. They will be so busy in the fun packed summer camp that they will have no time to be bored! There will be many different styles of dance on offer during the camps such as Jazz, Hip-Hop, Contemporary and Ballet. The Summer camp lets the kids try out these styles of dance and see if they want to participate in the full time classes from September to May. Ballet is a good choice to learn technique for all dance styles and the discipline needed to dance professional. Jazz is fun and lets your kid really show off their jumps, kicks and turns. Hip-Hop is super energetic and a fabulous style of dance for the kids that can’t keep still! Contemporary is a beautiful style of dance that lets the dancer really feel the music in their bodies. In the summer camp your kids will have the pleasure of trying all these styles of dance plus drama, singing and musical theater! 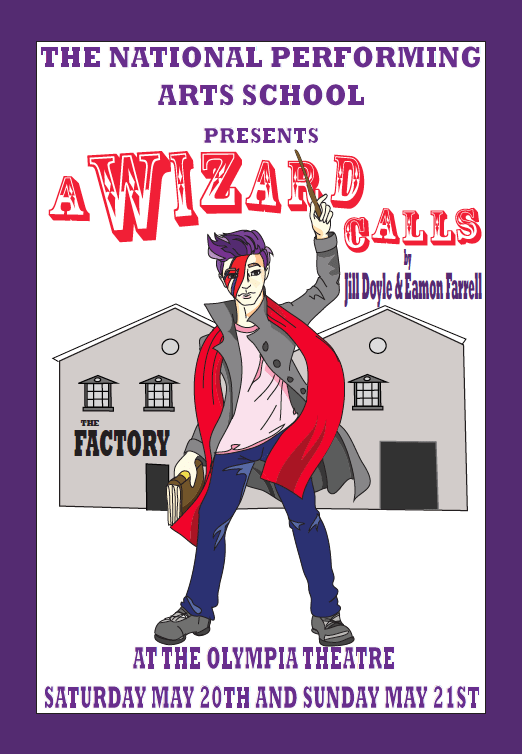 If your kids are thinking of doing the camp they definitely should come to see our show in the Olympia Theatre A Wizard Calls. The show is on the 20Th and the 21st of May.